When will be Bethenny and Fredrik next episode air date? 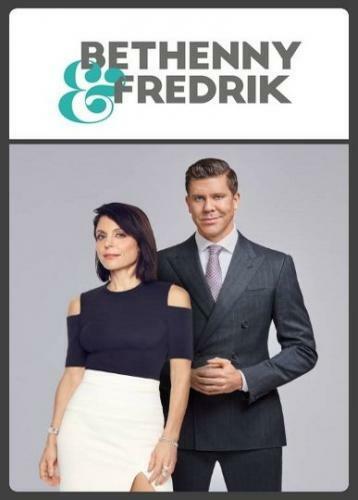 Is Bethenny and Fredrik renewed or cancelled? Where to countdown Bethenny and Fredrik air dates? Is Bethenny and Fredrik worth watching? Bethenny and Fredrik follows two fan favorite powerhouses, Bethenny Frankel and Fredrik Eklund, as they come together in their new venture as real estate moguls and business partners. Viewers will watch as they tackle the ups and downs of scouting, buying and designing multimillion-dollar properties. The series shows a side of Bethenny and Fredrik, often through their humorous dynamic, that fans have never seen before as they make big flipping gambles in the hopes of even bigger payouts. BethennyandFredrikkick into high gear to meet their renovation deadline; Fredrik flexes his construction muscles while both shop for a porcelain throne; as time runs out, Bethenny and Fredrik hope the apartment can be staged and finished in time. Bethenny and Fredrik next episode air date provides TVMaze for you. EpisoDate.com is your TV show guide to Countdown Bethenny and Fredrik Episode Air Dates and to stay in touch with Bethenny and Fredrik next episode Air Date and your others favorite TV Shows. Add the shows you like to a "Watchlist" and let the site take it from there.